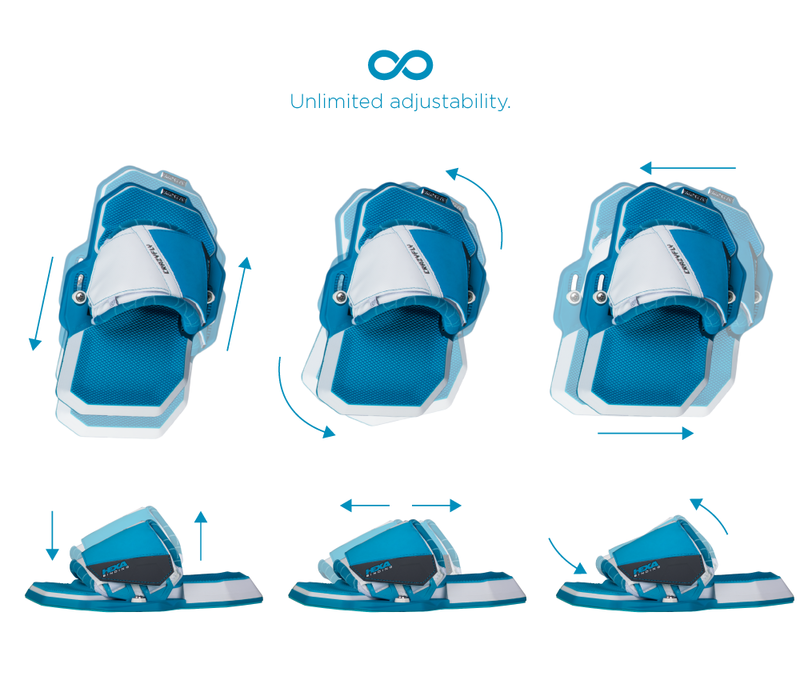 Brand new for 2016, the Crazyfly Hexa LTD Binding provides unlimited adjustability to accommodate all foot shapes and sizes, while offering unmatched comfort and board feel. Compatible with a 6 3/4" Insert spacing. NOT compatible with mostolder Crazyfly boards. See Compatibility chart below.